Here’s another dining offer that’s sure to give you and your family and friends reason to come together over a great meal. 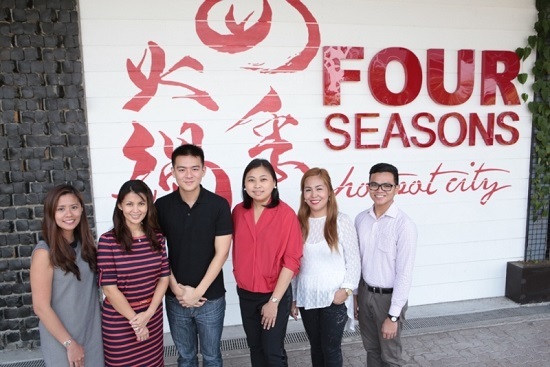 In celebration of its 25th anniversary, the country’s preferred credit card is extending a 25% discount at one of the newest popular buffet destinations in the metro, Four Seasons Hotpot City. 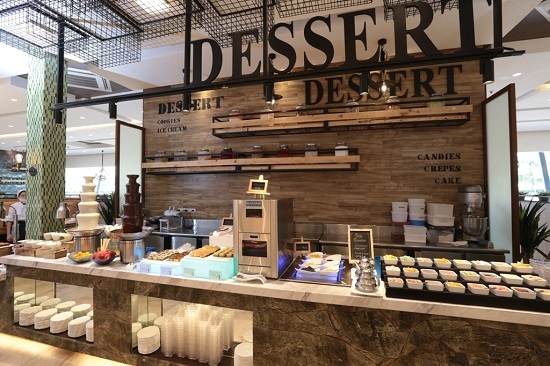 Designed with a lavish, modern market interior, Four Seasons Hotpot City marries the hotpot and buffet concepts by serving a wide variety of fresh, healthy ingredients for customizable dishes. From now until September 30, 2015, pay with your Citi credit card to get the exclusive 25% discount on regular weekday lunch buffet at Four Seasons Hotpot City in SM Mall of Asia Complex. To avail of the offer, you must dine in groups of 4 adults or more and settle the bill with your Citi credit card. “We are very happy to highlight another dining offer from our delectable lineup of 25 irresistible deals as part of our anniversary celebrations. This time, we are teaming up with Four Seasons Hotpot City to give our clients an amazing hotpot buffet experience they can share with their loved ones. And since Filipino celebrations aren’t complete without a hearty, indulgent feast, this dining offer is truly ideal for everyone,” shares David Stoughton, Credit Payment Products Director for Citi. Vikings Group Marketing Director Charles Lee (3rd from left) and Citi Corporate Affairs Director Aneth Lim (4th from left) toasted the partnership between Citi Credit Cards and Four Seasons Hotpot City, another winning restaurant concept from the Vikings Group. They are flanked by (from left) Citi’s Martha Aguila and Jenny Leyran and Vikings Group’s Raquel Bartolome and Hal Ermin Echave. Four Seasons Hotpot City is the latest concept restaurant to come from the same group as Vikings, another Citi partner, also currently extending a 25% discount. Designed with a lavish, modern market interior, Four Seasons Hotpot City marries the hotpot and buffet concepts by serving a wide variety of fresh, healthy ingredients for customizable dishes. In addition to the standard meat, seafood and vegetable stations seen in many hotpot restaurants, Four Seasons Hotpot City features sections for appetizers, desserts, premium food and Japanese cuisine, plus a bar for refreshments. 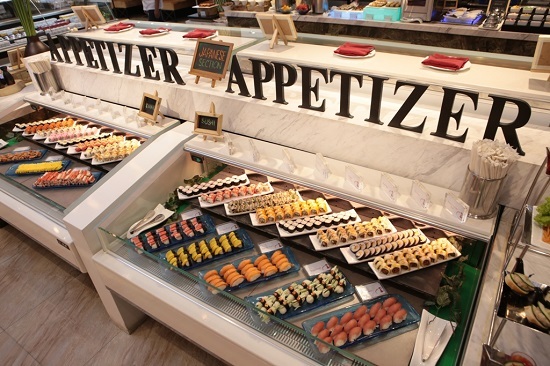 Appetizer Station includes a selection of Japanese sushi and sashimi. 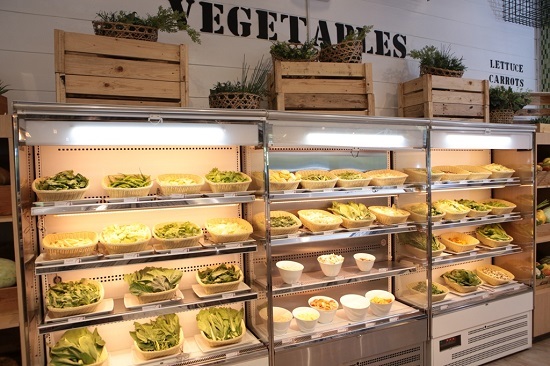 Fresh Vegetables Station – sample the variety for your hotpot dish. 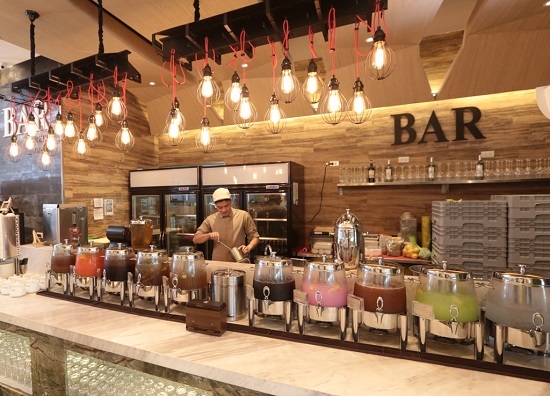 Drinks are part of the buffet cost, and the Bar Station offers a wide array of selection. Make sure to leave room for sweets – check out the Dessert Station too. "It is an honor to partner with the country’s’ leading foreign bank in providing a delightful dining experience to everyone. 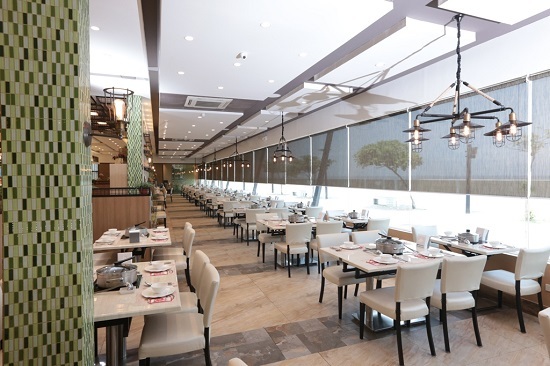 This collaboration is a great opportunity for us to showcase the hotpot concept to a wider audience and offer a wide variety of international cuisines from around the globe,” says Vikings Group Marketing Director Charles Lee. 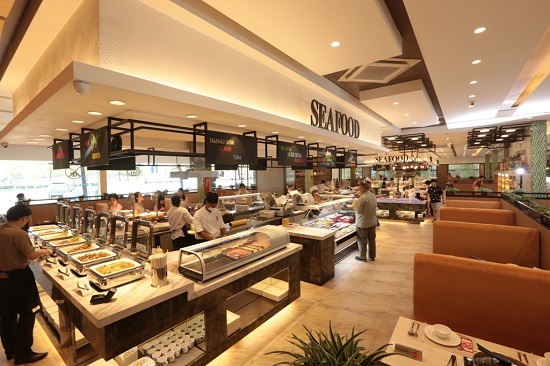 Indulge in 25% off on daily buffet for groups of 5 paying adults or more at the SM Jazz Mall Makati, SM Marikina, SM City BF Paranaque, and SM Davao branches of Vikings. Get 65% off for a 3-day, 2-night stay at Bellevue Resort Bohol for stays until December 19, 2015. Grab 50% off for a 3-day, 2-night stay at Discovery Shores Boracay, 60% off for an overnight on Sundays to Thursdays at Discovery Country Suites, a special rate of P8,000 NET for an overnight stay during weekends at Discovery Primea, 50% discount for an overnight stay at Discovery Suites, and 50% off for an overnight stay at Club Paradise Palawan, all valid for stays until December 30, 2015. Get P2,500 off on your first booking at Airbnb through the Airbnb app or www.airbnb.com/citiphusing your Citi card. You can also enjoy exclusive discounts at Agoda, as much as 10% on select weekends, through http://agoda.com/Citibankph. For that sweet tooth, get 6 free Original Glazed doughnuts at Krispy Kreme when you buy 6 Original Glazed doughnuts using your Citi Rewards points. With Citi, enjoy exclusive privileges no other financial partner can offer. For more information on Citi’s 25th anniversary deals, visit www.citibank.com.ph/25years or call the 24-hour CitiPhone Hotline at 995 9999.